Beneficial in maintaining general well-being. Promotes the body’s resistance to infection. Supports key immunological functions in the ear, nose and throat. Helps to support normal immune activity and balances the body, promoting a state of overall health. 0 to 3 months: 20 drops (1 ml) twice daily. 3 to 6 months: 30 drops (1.5 ml) twice daily. 6 months to 1 year: 60 drops (3 ml) twice daily. 1 to 2 years: 70 drops (3.5 ml) twice daily. 2 to 3 years: 80 drops (4 ml) twice daily. 3 to 4 years: 90 drops (4.5 ml) twice daily. 4 to 5 years: 100 drops (5 ml) twice daily. 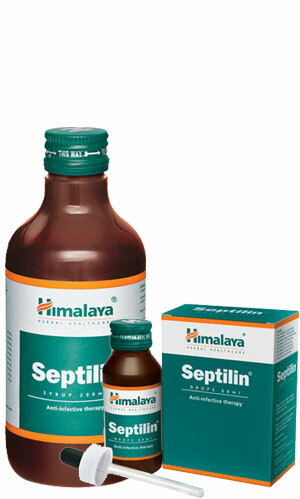 Children: 1 to 2 teaspoonfuls (5 to 10 ml) three times daily. Adults: 2 teaspoonfuls (10 ml) three times daily. Children: 1 tablet twice daily. Adults: 2 tablets twice daily until symptoms are relieved, followed by 1 tablet twice daily as maintenance therapy. Drops: Pilfer-proof bottle of 60 ml. Syrup: Pilfer-proof bottle of 200 ml.